They didn't quite make the list, but they still have plenty of talent and upside. Meet an extraordinarily deep pool of "just missed" prospects. Undoubtedly Sixto in the Top 50, which isn’t public yet. He has always liked JoJo Romero more than others. might we have to rethink Tyler Gilbert? pretty good article about him this morning at philly.com. regrouping 2 pitches has made a world of difference in his results and confidence. and a lefty to boot. Keith Law posts his top 50. Sixto at 35. Tatis Jr. edges Vlad Jr. for number 1. Senzel (aka Moniak alternative) is 6th. Baseball is loaded with young talent. 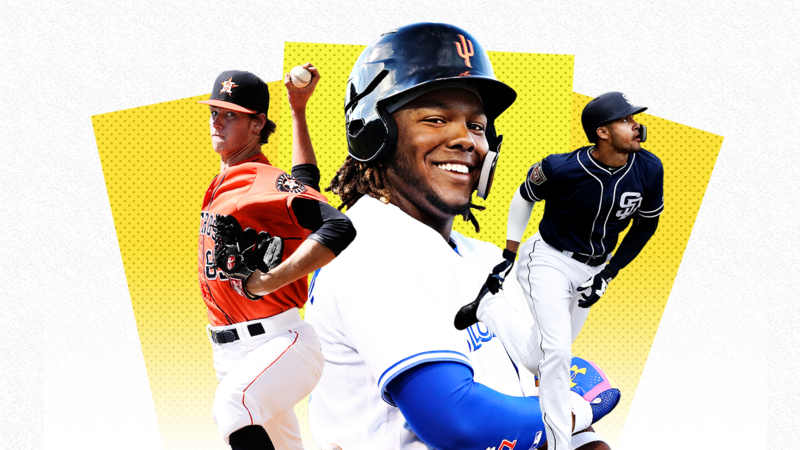 Who are the next breakout stars, following the likes of Ronald Acuña and Juan Soto? Here's the best of the best. So Law has Medina outside of his Top 115? I don't really put much stock in laws list anymore...I don't know what universe he lives in where Tatis is #1 over Guerrero. And Bohm. One at least needs to appreciate someone putting an opinion out there. One can look at Bohm's bad initial season and easily put him out of a top 100. Medina too does not have that much projection, so one could easily slot him as more of a back of rotation type even though most people think the stuff is mid-rotation. There is no perfect way to rank prospects. Howard is clearly a high riser on some lists. I question the low level performance before I rank him that high. But the touching 100 is enough for others. I appreciate an opinion like Law's more than the knee jerk criticisms of why didn't X make the list. Law will give us the top 10-20 for the Phillies next week. I am guessing Bohm and Medina are 5-6 in some order. Law has as much credibility as anyone out there (even if he is a little arrogant). I find it hard to understand that he has Howard at 52 and Medina doesn't make the list? 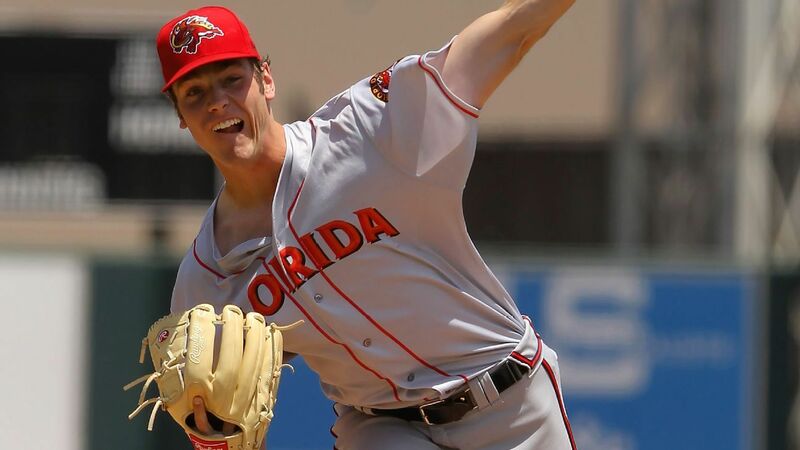 Spencer Howard I would think has a very similar ceiling/projection to Medina with medina currently have better pitches. I think Law puts more weight into what he's seen personally from a player, where as BA seems to balance several perspectives. Nothing wrong with that, if anything it puts more accountability on his list- though it's not as if anyone get's graded on historical accuracy. In Howard vs Medina, by the end of the year everything but Howard's changeup may have graded out as equal or better than Medina. So if your ranking them, it depends what time of year you saw both them. Is there any phase of the game or any eyeball test you can imagine where Vlad would grade behind Tatis? I think he is grading Howard's stuff as better. Probably also looking at his body and thinking the velocity is more sustainable. Medina clearly has the better performance especially on an age versus level basis. As Fish notes his change did improve later in the year. We just don't know how much of the good performance was because he was going against less experienced hitters. I would rank Medina higher now. That does not mean that Howard is not a rising prospect. I questioned the pick a bit at the time and the Phillies clearly saw some projection that others did not. Good for them. It seems a pretty good value for a pick (in contrast to all these Cal State Fullerton guys who seem a waste of $500K-$800K to me). I probably weigh tools and performance (relative to age and level) about 50-50 in the way I rank prospects. Law edges more into the tools side (with the bias on who he sees and when). Nothing wrong with either approach. Defense. Law has Tatis with a good chance to stay at SS. 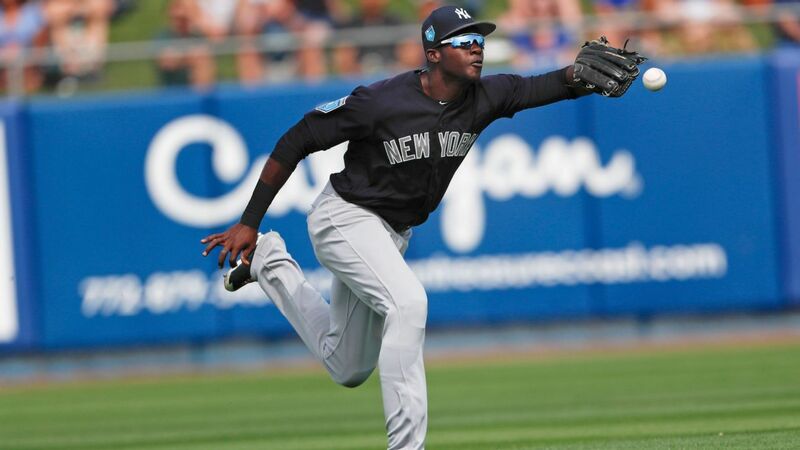 Few think Vlad will be plus at 3B. Even if Vlad moves to the OF his offensive tools scream superstar. You really have to stretch very far to justify that ranking. They are both really good though, so I think this more Law's way of saying that he thinks Tatis is going to be Machado (good offensively and defensively) and Vlad will be more like Harper (great offensively, average defensively). I just noted that it was an interesting choice. I probably would have gone with Vlad, but it is not like every other list isn't putting Tatis 2nd or 3rd. We make way too much of rankings. The Fangraphs guys get it right when they lump tiers of prospects into a future value (as in both Vlad and Tatis are 65 FV). The absolute order of the list which is subjective then becomes a little less important. Actually when you read the commentary it seems clear he is canvassing scouts and execs and not solely relying on his own viewing, although there is no way to know what he rates more heavily unless he explicitly says it (maybe I missed that). Keith Law ranks the system 10th, down from 5th last year. A little higher than I thought they would end up, but he does like Spencer Howard and JoJo Romero more than most. 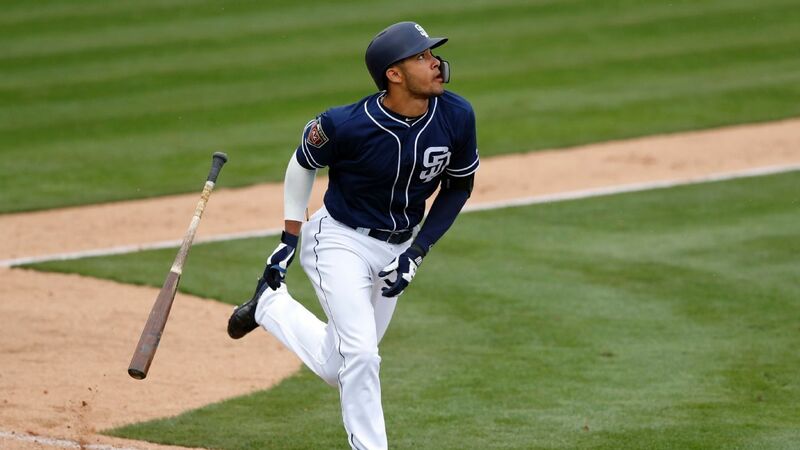 The Padres have top prospect Fernando Tatis Jr., but how much young talent is behind him? And how does your team's prospect pool rate? The Braves' system is still loaded, the Nats are deeper than you might think, the Mets and Phillies have dealt a lot of talent and the Marlins ... are the Marlins. Next batch are Enyel De Los Santos (11), Mickey Moniak (12), Jhordany Mezquita (13), Cole Irvin (14), Matt Vierling (15), Kyle Dohy (16), Zach Warren (17), Daniel Brito (18), Kyle Young (19), and Connor Seabold (20). Sixto is first on the Marlins list. Stewart 8th (originally 11th on Law's Phillies list so he does like him). Law's lists are always the most interesting to me.